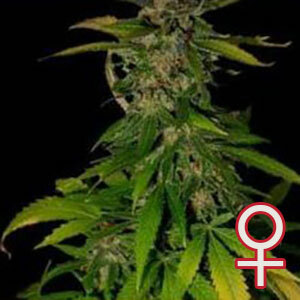 KC 36® Feminized weed has a strong, skunky smell and the taste includes notes of tropical fruit and citrus. This is one of those weeds that has a powerful physical hit and smokers, particularly inexperienced ones, may well find themselves locked to the couch for a period. Medical practitioners recommend this strain for people who find it difficult to relax or have problems with sleeping. KC 36® Feminized seeds produce plants that grow to about 175 centimetres outdoors, with dark green leaves that are notably broad. Plants are multi-branched and irregular while the buds are dense and covered in silvery crystals. Indoors, the plants grow shorter, about 75 centimetres, but have the same irregular growth pattern. THC content is high. KC 36® Feminized is quite hardy and will tolerate periods of rain and cooler weather. Plant it somewhere where it will get as much sun as possible and it will thrive. Outdoor harvest comes in late September and you can expect yields of around 900 grams per plant. Indoors, the plants can be grown in hydro or soil and flowering time is six to eight weeks. Indoor yields are lower than outdoor ones.